The Traffic Collision Avoidance Course is determined by the State after a collision takes place. If you were at fault in a collision you may receive a letter from the State instructing you to take this course. Our State-Approved online TCAC course provides you the freedom to take your course from the convenience and privacy of home or work - No Classroom Necessary! 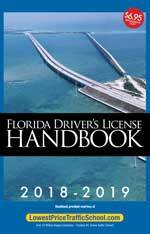 If you are a Florida resident that has been found at fault in a collision, you may receive a letter from the state instructing you to take the Traffic Collision Avoidance Course. The course is 4 hours long that can be completed over a multiple-day period at your convenience. The TCAC course is also appropriate for Florida drivers found at fault in a collision if any person involved in the crash had to be transported to the hospital or if you have been at fault in two crashes within a period of 2 years that resulted in more than $500 in damage to property. Course available 100% online for even the most novice computer users. Have trouble with tests? Exam retakes are free! Not sure about going online? No Problem! 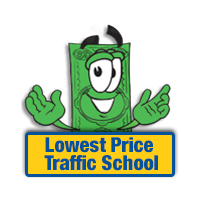 Lowest Price Traffic School also offers Video/DVD Traffic School as well as Classroom Traffic School at convenient locations across Florida. The course is broken up into X chapters. Your can read the material or elect to use the Audio Read-Along feature. You will be presented with open-book quizzes along the way to prep for the final exam. During the final exam, you may verify your answer by referencing the material when unsure. Course includes graphics and entertainment during the breaks. The Lowest Price Traffic School Traffic Collision Avoidance Course is approved in ALL 67 Florida counties by the Florida Department of Highway Safety & Motor Vehicles. We provide the best value to our customers through our lowest price guarantee and most importantly, the highest quality driver education available in the industry.